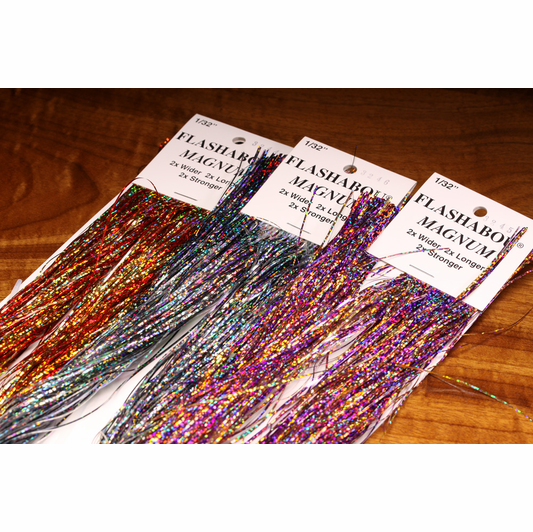 Description Wider than standard flashabou and designed for the jumbo flies associated with saltwater, pike and musky flies. 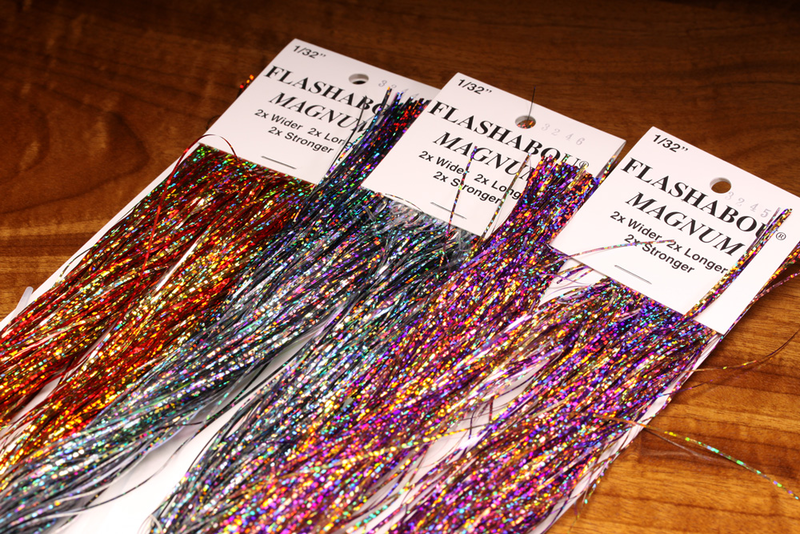 Holographic Magnum Flashabou will draw fish in to your fly from distance. Available in numerous proven holographic colors.